Purchasing at auction can seem like a daunting process, however if you are prepared and ensure that you have taken all the necessary steps prior to auction day, the process can be smooth, stress free and perhaps even exciting! Following the below steps are essential and will help you to prepare. It is important to let the real estate agent know that you are interested in the property and provide your contacts details so that you can be kept up to date on the progress of the sale. If offers are being considered prior to auction, you may wish to have the opportunity to place an offer also. It is important to go into an auction with the confidence that you are 100% satisfied that this is the property for you. Research the local area and facilities and make sure they match your needs. 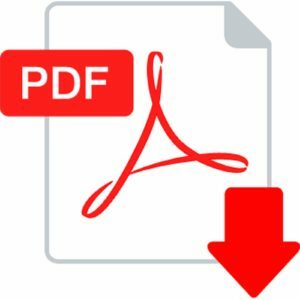 The real estate agent will have a copy of the Form 1 Vendor’s Disclosure Statement available to view at their office 3 business days prior to the auction and at the auction 30 minutes prior to its start. It is also a good idea to conduct a building and/or pest inspection to make sure the property is sound and pest free. If this is your first auction, you may wish to attend a few other auctions so that you can understand the process and be familiar with the environment. It is essential to understand that, when purchasing at auction, the contract of sale is unconditional. This means that you must have your finance in place prior to auction day as you will not be able to organise this or any other conditions once you have signed the contract. It is also important to understand that there is no cooling off period when purchasing at auction. If you are taking out a loan to finance the purchase, contact your lender and or financial institution to organise pre-approval for your loan. It is a good idea to have this organised as early as possible. Ensure that you have a 10% deposit ready on the day as this will be due if you are the successful bidder. 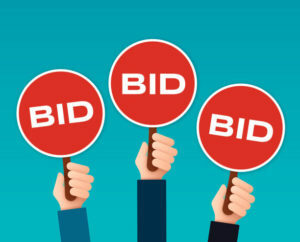 If you intend to have someone bid on your behalf, contact them to make arrangements. Contact your conveyancer to ask any questions about the process and advise that you will be using their services. The real estate agent will ask for your conveyancer’s details once the contract is signed. You must register to bid on the day of auction or at the agent’s office in the days leading up to the auction. If you have an agent bidding on your behalf, ensure the agent is aware of this as they will need to sign a proxy form. Prior to the auction, the vendor will set a reserve price. If the reserve price is not met, and you are the highest bidder, a negotiation may take place by the agent to complete the sale. The vendor has the right to use three ‘vendor bids’ that are less than the reserve price. If the auctioneer calls these bids, the reserve price has not yet been met. If you are the successful bidder, you will be required to sign the contract of sale and pay the 10% deposit. From the time the contract is signed by the parties the risk of the property passes to the purchaser and therefore you must take out building insurance to protect your new investment. Contact your Conveyancer and broker once again to advise that you have been successful. They will then commence the steps required to complete settlement. If you are at all confused about any parts of the process, we recommend that you speak with the real estate agent or your Conveyancer. * The information contained in this post is intended as a guideline only as each individual transaction is different and requires certain procedures to take place. You should consider your own personal circumstances when reading this document and discuss the auction process with the real estate agent directly.